Prevent Cancer Now » RF Radiation: Convenience at the Expense of Our Health? No doubt about it. Computers and the “information highway” are revolutionizing our lives. 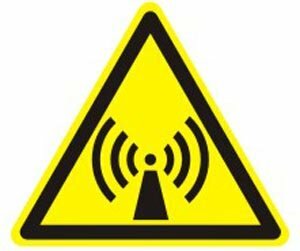 The dark side is that as demand for information “on the go” increases, the radiofrequency (RF) radiation used for telecommunications has been found to be a type 2B (possible) carcinogen, according to the International Agency for Research on Cancer (IARC). As well, the number of people reporting other adverse health effects or electromagnetic hypersensitivity, from devices and transmission facilities, is climbing rapidly. Canadian radiofrequency exposure limits are laid out in “Safety Code 6”. Periodic scientific reviews have resulted in no changes over the past decades, as it has been assumed that all adverse health effects result from microwave heating of tissue. This assumption resulted in North America having the least stringent exposure standards in the world. Nevertheless, Health Canada issued cautions regarding children’s use of mobile phones. Health Canada is once again examining the science underlying Safety Code 6, but is outsourcing the review to a panel appointed by the Royal Society of Canada. The Canadian Medical Association Journal recently reported conflicts of interest for the chair and panel members, and the Royal Society is reconsidering the panel membership. Opinions and reported research results in this field are unfortunately polarized according to funding sources, while the Society claims that it is difficult to identify researchers without industry ties. Chemical exposures that are regulated under legislation such as the Canadian Environmental Protection Act and the Pest Control Products Act are assessed and regulated according to established scientific standards and open processes, with public input and possible reconsiderations. In contrast, radiofrequency radiation scientific review is opaque, with reports only available after the fact, under Freedom of Information. Indeed, there is not even a clear framework for synthesis and determination of “weight of evidence” of the diverse scientific information, from biochemical and cell studies, to animal experiments and human studies. In response to public outcry, a single day of public input for the current review has been scheduled for July 8th. Citizens for Safe Technology has taken a lead in this issue, and you can visit their summary / call to action page here.